When it comes to go-anywhere and do-anything performance, no automaker has a resume quite like Ford. For generations, this automaker has offered a lineup that combines power and capability in the form of timeless American style. Ford engineers continue to cement that reputation with the 2019 Ford Edge. 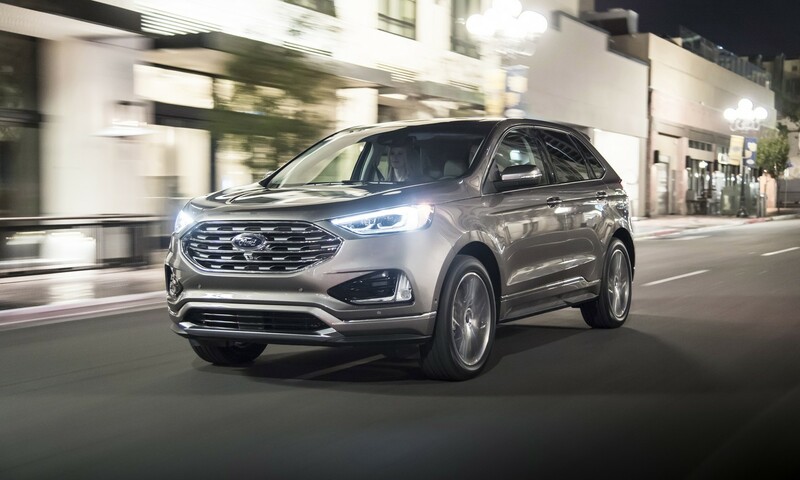 This mid-size SUV can do it all, and with multiple increasingly-impressive trim levels, SUV shoppers can have it all in the Ford Edge. The highest trim level of the 2019 Ford Edge happens to be the first SUV from the legendary Ford Performance Team. Better known for producing track-ready speed demons, the Ford Performance Team put their automotive know-how to work building the new Edge ST. This beefy beast uses a turbocharged 2.7-liter V6 with EcoBoost to deliver a thrilling 335 hp and 380 lb.-ft. of torque. The ST also features cutting-edge tech straight from the track, like electronic throttle programming, performance brakes, paddle shifters, and rev-matching, all working together to provide a ride that’s as fast as it is responsive. All models of the Edge come standard with drivetrain features that will help drivers feel comfortably connected to the road, no matter what kind of conditions they may encounter. Ford-exclusive AdvanceTrac® with Roll Stability Control™ (RSC®) and Curve Control are two such features that allow the Edge to autonomously monitor road conditions and make split-second modifications to drivetrain characteristics, resulting in excellent responsiveness at all times. Similarly, Traction Control enhances confidence by using the same sensor technology to monitor wheel spin and reduce throttle output all on its own, ensuring you always have the firmest grip on the road. If you foresee even greater obstacles in your future journeys, you can opt for the available Intelligent All-Wheel Drive with AWD Disconnect, which balances torque between the front and rear wheels to guarantee the right balance of power. 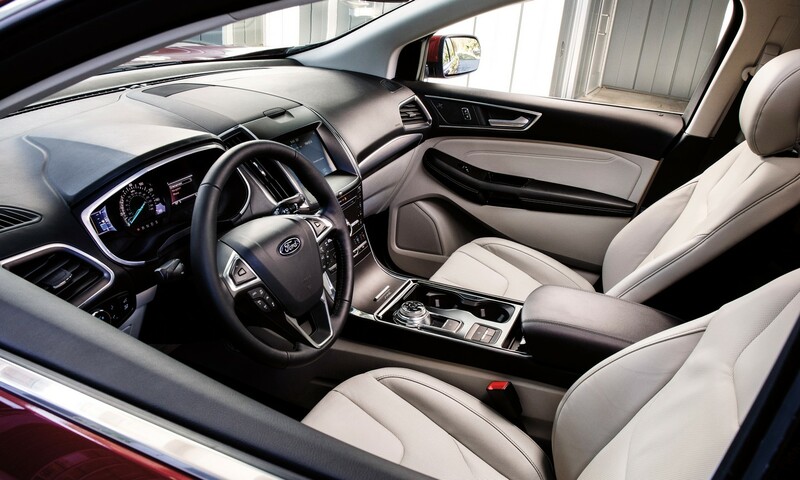 This modern Ford offers state-of-the-art safety technology with Co-Pilot360. This suite of semi-autonomous safety features uses external sensors and cameras hidden throughout the exterior of the vehicle to constantly monitor the road from every angle. The vehicle’s onboard computer can interpret the data and identify potential hazards, sometimes even taking action before the driver even has time to think. For example, Evasive Steering Assist can identify slow-moving or stopped traffic ahead and provide steering support when there’s no time to avoid a collision by braking alone. In addition, Pre-Collision Assist with Automatic Emergency Braking can bring the vehicle to a full stop on its own if it detects obstacles ahead, including pedestrians. 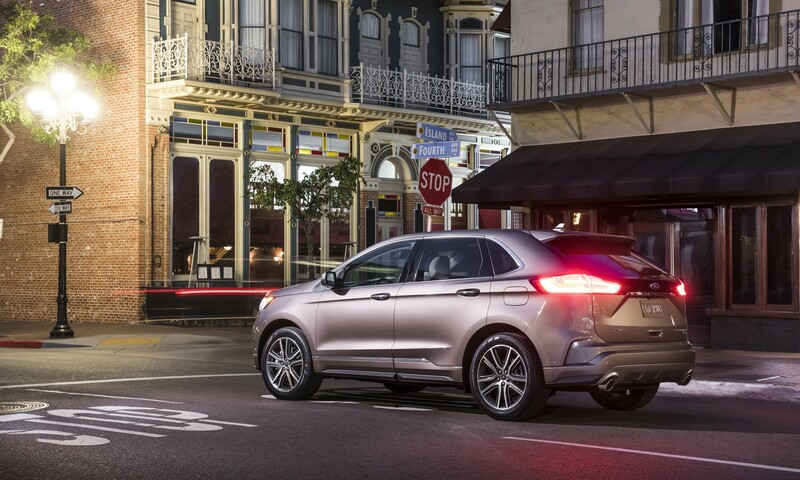 The Ford Edge offers even more safety features, such as Blind Spot Information System with Cross Traffic Alert, Lane-Keeping System, and Lane Centering. What once was a trope in science fiction is now a reality in the Ford Edge. Using the same external sensors and onboard computer as Co-Pilot360, the available Adaptive Cruise Control feature can do far more than just maintain a set speed; it can do the rest of the driving as well. Stop-and-Go can slow down, stop, and accelerate to keep up with congested traffic. It can maintain a set distance from a car ahead, and Lane Centering allows it to control steering to maintain a position in the lane. 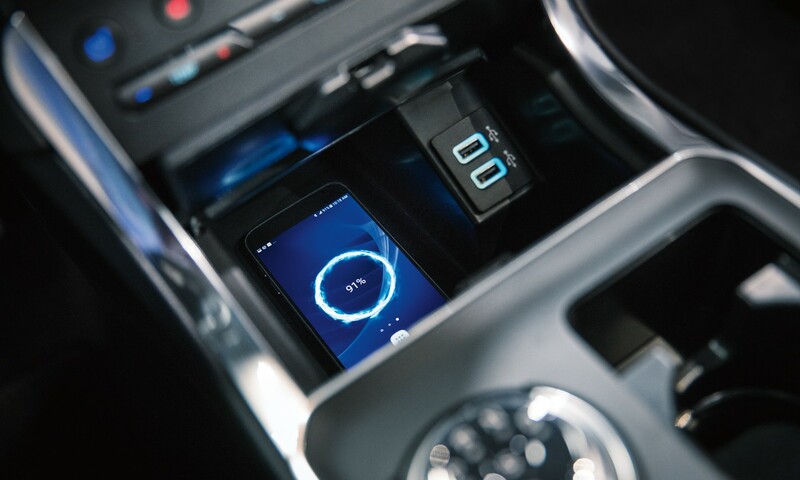 The 2019 Ford Edge offers remote keyless entry as a standard feature, but it also offers connectivity to FordPass™, a free smartphone app that lets Ford drivers stay in touch with their vehicles from anywhere in the world. Simply download the app and sync it to your Ford Edge, and you’ll enjoy remote controls like door locks and ignition, and you’ll also have constant access to key vehicle info, as well as access to exclusive services like FordPay and route information. Inside the Edge, you’ll enjoy the latest edition of the Ford SYNC® 3 infotainment system, which includes SiriusXM™ radio capability. Optional upgrades include even greater connectivity through features like Amazon Alexa and Waze. Or you can enjoy wireless connectivity with integrated Bluetooth® and a wireless charging pad (pictured below). The Edge knows no boundaries, but it may not be the right fit for every driver’s needs. If you still want versatility in a smaller package, consider the Ford Escape, a four-door crossover that gets great fuel economy but can still tackle a trail if it needs to. If you want a third row of seating, the Ford Explorer returns this year with a new generation of venerable all-wheel drive performance. * MSRP for base vehicle. Excludes destination/delivery fee plus government fees and taxes, any finance charges, any dealer processing charge, any electronic filing charge, and any emission testing charge. Optional equipment not included. Starting A, Z and X Plan price is for qualified, eligible customers and excludes document fee, destination/delivery charge, taxes, title and registration. Not all vehicles qualify for A, Z or X Plan. All Mustang Shelby GT350 and Shelby GT350R prices exclude gas guzzler tax. Vehicle image shown is for illustration purposes only and may not be base vehicle.